Howard DeVore, AKA Big-Hearted Howard once described himself as a book dealer extraordinaire! For more than half a century many people in this country and around the world agreed. Howard was active in fandom for most of his life. He began collecting and trading science fiction books and magazines by the time he was 12 years old! He once told us that by the age of 10 he had read every book in his small-town library. He began seriously collecting prior to World War II, and even then he was astute about saving his precious books. When he left to fight in World War II he actually locked up all of his collection and wore the key to the lock on a chain around his neck throughout the war. He survived all odds as a ball turret gunner in a B-17, and came home. He then resumed reading, collecting and dealing in science fiction books until his death in 2005. Howard was known to all as a fan, collector, dealer ("Huckster Supreme"), publisher and author. Big-Hearted Howard was one of the original members of First Fandom (active in SF fandom prior to 1938) and was elected into the First Fandom Hall of Fame. He was honored over fifty times with awards and recognitions (see adjacent list). He eventually became known for "The Garage" which housed an ever-growing collection of all things science fiction. In time he filled the two and a half car garage, two full rooms of the house, the attics and every other nook and cranny with his collection. People from far and wide tell tales of visiting Howard's garage, drooling at the collection and being taught the history of the genre. From the early years and throughout time it seems he knew everyone and everything! Author Gerry Weist signed one of his books for Dad as follows: "For Howard DeVore, who was here, there and everywhere before me, on most of everything in this book". He loved sharing this knowledge and was well-known for his story-telling. At the world convention in 2006 we three daughters put up a banner that said "Did I ever tell you the one about.......", one of his catchphrases. Throughout the years parts of his collection have been loaned to and used by researchers, writers, editors and publishers. They were used for historical purposes, research and even completing the private collections of libraries, publishers, and other S.F. collectors. Over the years he came to be good friends with most of the early S.F. authors and was often contacted by them for copies of their own works. He continued to maintain contact with people from all over the world as both friend and dealer. In 1999 he himself was nominated for a Hugo award for his book "A History of the Hugo, Nebula and World Fantasy Awards", which he updated and published for decades. He also received the ultimate honor of being chosen as the Fan Guest Of Honor for the 2006 World Science Fiction Convention (L.A. Con IV). Unfortunately he died just months before the convention but he enjoyed the two previous years of "bragging rights". 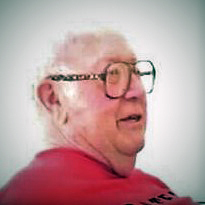 Probably his fondest connection with fellow fans was his attendance at the Midwestcon for 56 straight years, 1950-2005. "Science Fiction Sales" was the name of Howard's business from the 1950's until the end of his life. While often limited by financial constraints he was nonetheless known in the early years as one of the biggest dealers of science fiction. Over the years he came to be known for his collection of obscure, rare, unusual and hard to find items. We now continue the name of the business as our website name, and hope you will enjoy perusing our site like the thousands of fans perused the collection at our house and at untold numbers of conventions for nearly 60 years! The vast collection includes numerous rare books and autographed books by the most famous science fiction writers. We also offer for sale an even greater number of first editions, special limited edition books, one-of-a-kind publications and other SF related ephemera. Beyond the famous and special books we also have a wide array of other hard cover books, small press books, chap books, manuscripts, art folios and non-fiction of all sorts. We also have a complete collection of the Clayton Astoundings, "Unknown" magazine, 10,000 other digests, SF magazines, fanzines, convention program books from the 1930's through 2006. We also have collectibles --- most famously, Hugo prototypes! The Oddities and Curiosities section of our site will open new doors for the uninitiated and bring up memories for the older fans. It was always said that if Howard didn't have it he would find it for you! We are not in the "finding" business, but if you are looking for it we probably have it!